Riding in an auto has become like the most frequent thing I do. Every morning and evening I get into one of them and off I go.. to the destination that keeps changing. Vehicles keep changing, drivers keep changing and conversations keep changing! To say that I enjoy these rides would not be an exaggeration. 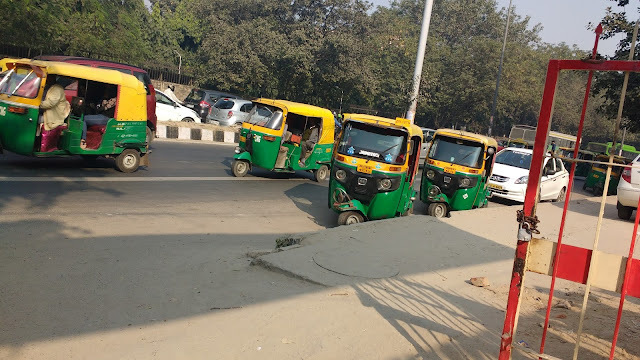 Auto Rickshaw simply called autos are the most common transport that we would easily get to go from one place to another. It is available almost everywhere in the city, whether you are travelling to a market, mall or a residential area. You get out of your house and you can see a whole lot of them standing outside the colony. There would be lots of them standing at every bus stops, to lure travellers who are endlessly waiting for the bus. 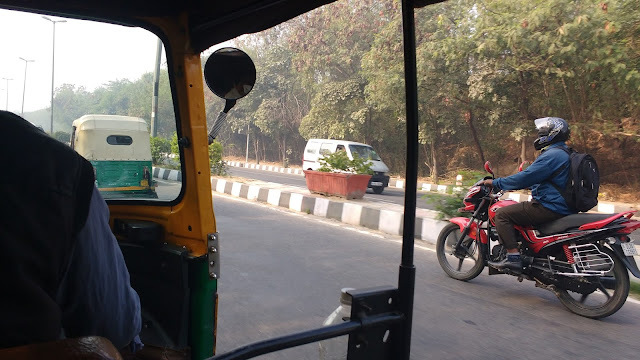 It does definitely cost a bit more than the normal Delhi Transport Buses but gives the convenience of travelling on your own without jostling for space inside crowded buses and it can be hailed from anywhere you are and you can get down anywhere you want. For a person like me who has tried learning to drive a car but not been able to get out of the fear of banging into someone, auto comes as a boon. Taking a taxi is far too costly and therefore an auto ride is justifiable to one's conscience. We can consider ourself prudent when we are taking an auto than a car. A taxi or cab would cost almost double of what an auto would do. But there has to be a word of caution, though. 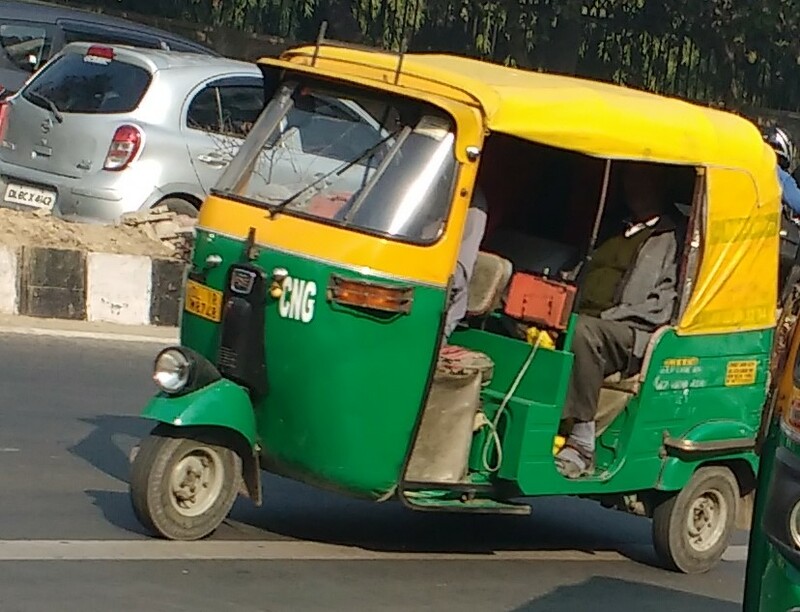 If the driver is clever enough to understand that you don't know your way through Delhi, he can take you for a ride!! Also, there are others who would fix their own rate depending upon the circumstance. If there are less no. 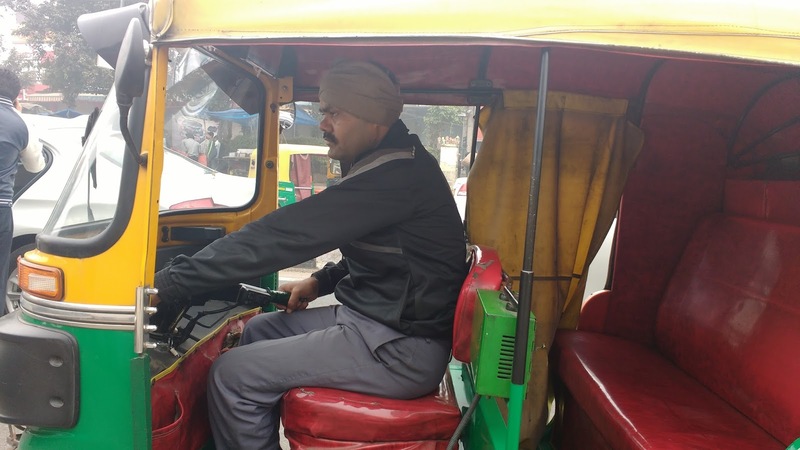 of autos available, they would increase their rate and if they feel that the customer is likely to get out of their hands, they might just reduce to close the deal. It is usually safe to take the autos that run on meter. However, if we are confident of the route and are clear on the approx cost, it could be a better fare to arrive at a mutual consensus on the rates. For an outsider, it would be preferable to carry a GPS and make sure they stick to the meter fitted on the sides. In Delhi, the fare starts from Rs.25/- for any distance of travel upto 2 kms. After that the meter starts ticking! Every auto ride is an experience in itself. Some auto drivers can be very talkative and you can gather as much information about the city, the government and the various happenings while you are on the go. They kind of know the pulse of the city! Travelling in an auto has a charm of its own. In summers, one can enjoy the breeze that will wipe off the sweats and give goosebumps. When it rains, we can enjoy the showers falling on both sides with some even hitting us from both sides. Though the driver will pull down the shades, it would not be enough to stop the onslaught. The winters are the toughest though... the cool breeze can be freezing and chill you to the bone! !